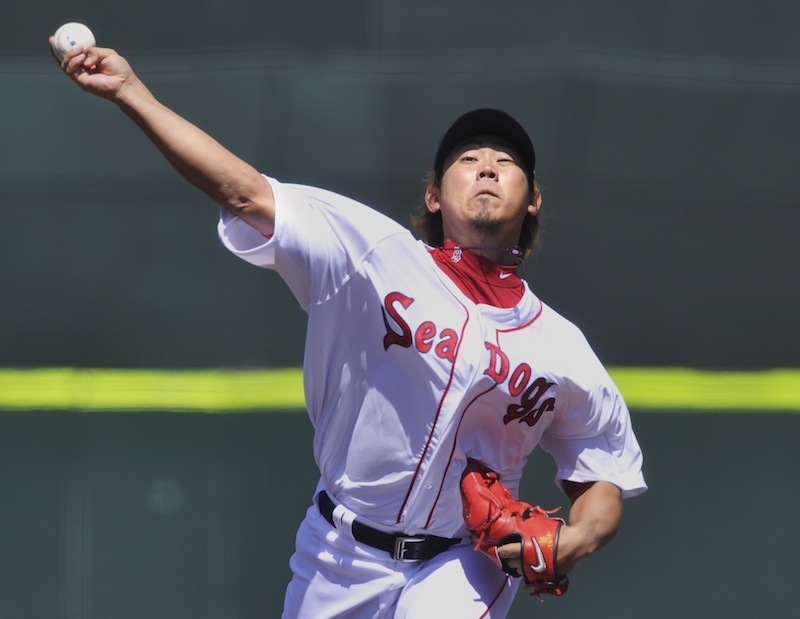 Daisuke Matsuzaka, working his way back from elbow surgery, pitches well in a Sea Dogs victory. 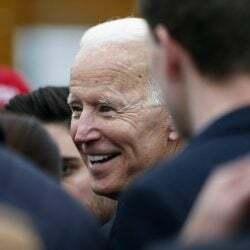 PORTLAND — The pause at the top of the delivery, the easy follow-through, the balancing act on his left leg after releasing the ball – it was all familiar for Boston Red Sox fans. 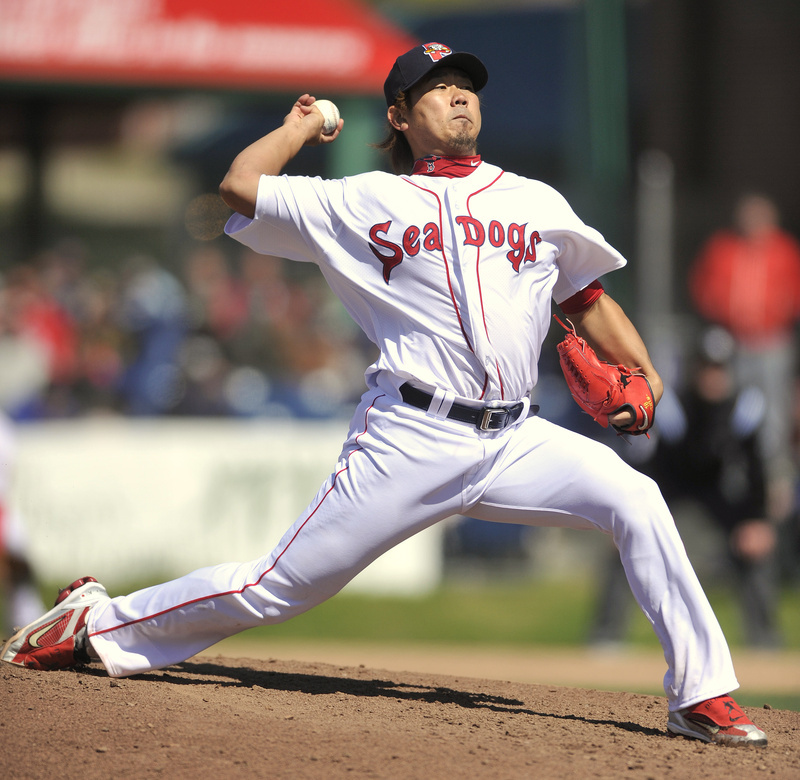 What was different was that Daisuke Matsuzaka was at Hadlock Field in a Portland Sea Dogs uniform. 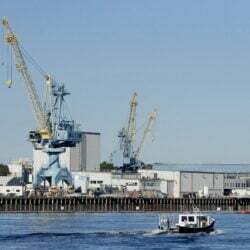 Matsuzaka looked sharp throughout the 4 2⁄3 innings he pitched Saturday afternoon for the Sea Dogs in helping them defeat the Reading Phillies 9-1 before a sold-out crowd of 7,368. Boston pitcher Daisuke Matsuzaka pitched very well in a rehab assignment at Hadlock Field for the Portland Sea Dogs on Saturday, April 28, 2012. 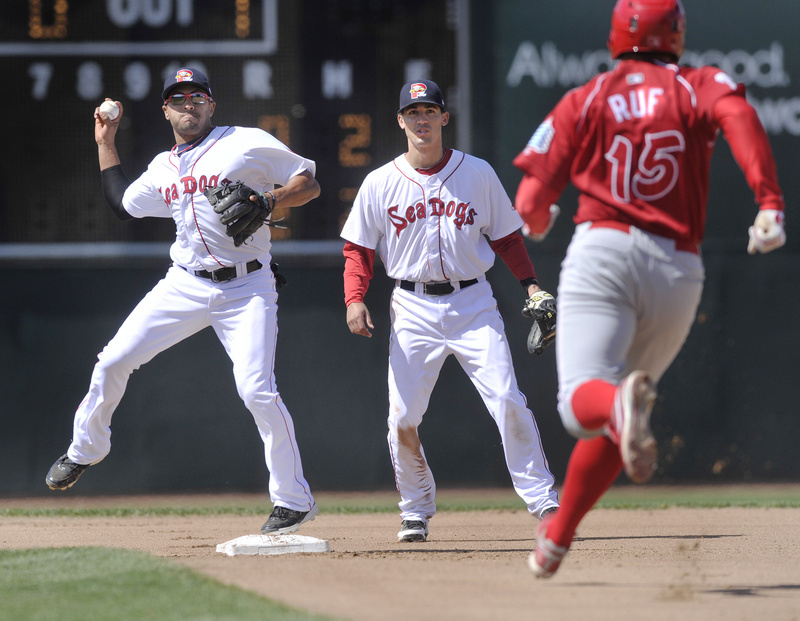 Sea Dogs second baseman Ryan Dent forces out Reading’s Darin Ruf before throwing to first base to complete a double play during Portland’s 9-1 win at Hadlock Field. In his second rehab start since coming back from Tommy John surgery on his elbow, Matsuzaka was in command throughout, challenging hitters with a fastball that touched 93 mph and an assortment of off-speed stuff that baffled the Phillies. He threw 74 pitches, 44 for strikes, and went to a three-ball count on only three of the 17 batters he faced. Matsuzaka, who has frustrated Boston fans with a couple of uneven seasons, allowed only three hits, walked two and struck out seven. Speaking through an interpreter about 30 minutes after he left the game, Matsuzaka said he was pleased with his performance and his recovery from surgery. Where the next start will be is still up in the air. Neither Matsuzaka nor Boles knew if he would make another start with the Sea Dogs. Portland backed Matsuzaka with errorless defense and timely hitting. The Sea Dogs were somewhat handcuffed the first two innings by Reading starter Jonathan Pettibone (1-3). But they worked long at-bats, driving up his pitch count. They broke through in the third on an RBI double by Reynaldo Rodriguez and RBI infield single by Oscar Tejeda. Portland added four runs in the bottom of the fourth, knocking Pettibone out of the game. Ryan Dent drove in one run with a single. Derrik Gibson had a run-scoring fielder’s choice, and Rodriguez made it 6-0 with a two-run bloop single to center. Matsuzaka left with two outs in the top of the fifth. With one out, he gave up a sun-aided triple to Miguel Abreu. After a strikeout, he walked Steve Lerud on a close 3-2 pitch. 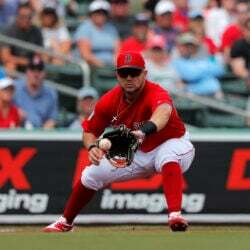 Out came Boles, who replaced Matsuzaka with Chris Martin, the original scheduled starter. After giving up a run-scoring single to the first batter, Martin close out the game with 4 1⁄3 innings of shutout ball, allowing six hits and striking out three.